Slack Chemical Company, Inc. recently made a generous $20,000 gift to the charitable fund at the Northern New York Community Foundation supporting the Thompson Park splash pad project in Watertown. The project is being led by the Friends of Thompson Park, which is a local committee of community leaders interested in the park’s past and future. The Friends of Thompson Park have been conducting a community campaign to provide support for the splash pad project. The spray park is scheduled to be completed and open next month. 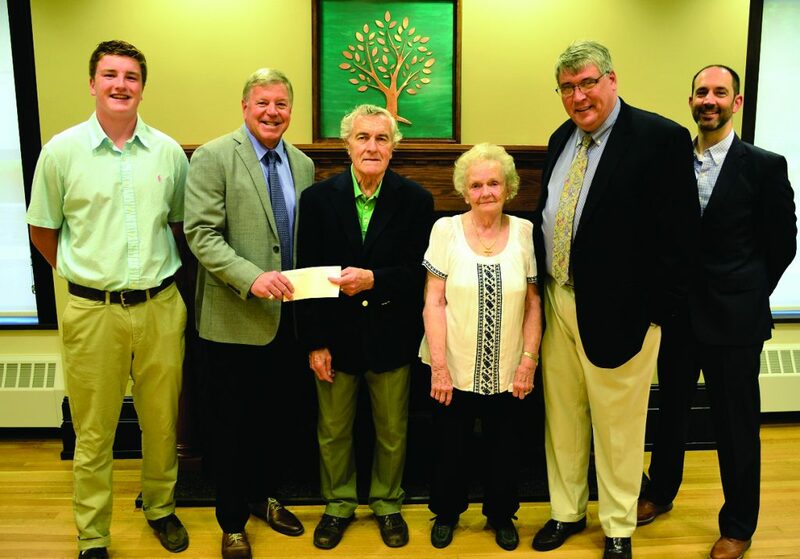 Pictured from left to right: Evan Richardson, Community Foundation Summer Intern; Philip J. Sprague, Friends of Thompson Park; Robert R. Sturtz, CEO Slack Chemical Company; Jean Sturtz; Rev. Frederick G. Garry, Friends of Thompson Park; Max DelSignore, Northern New York Community Foundation.